[QUOTE=DireKitty;4621168]Yes, you need to sign up for the FF shoot just like how Nefer has it set up. Not totally sure what you mean for #2.... if you mean you will make his account and sign him up you can do that. Everyone has to go through on their own as anyone signing up will have their own sheet to sign off for photoshoot credits and their own badge. So every time you sign up for a shoot that is it's own entry. Oh dear.... GET BACK TO BED! Yes that make sense. I could have worded it better. I will have him set up his own, or make one for him. I'll let my group know what to do, because Nefer is on the ball and PMed me what to do. We're still waiting on 2 more locations then I will fire it off to you as well as the "panelist" registration along with the FF one (since I see 5 spaces so I'll fill each out altogether). [QUOTE=SuperBee;4621173]Oh dear.... GET BACK TO BED! Yeah I think that works. It's what I do when I fill out stuff for panels. So this is a first for running a photoshoot get you credit if I'm not mistaken? I believe so. At least they didn't have that last year. DireKitty: Just waiting on one more name and I will fire you off the email. Yes. I did some hounding to get this! It also means if you are running a photoshoot there is no chance of a panel you are in being at the same time. What if we don't feel like registering on the Teahouse forums? Can we skip that step? I've posted the link to the teahouse forums through twitter and Facebook. 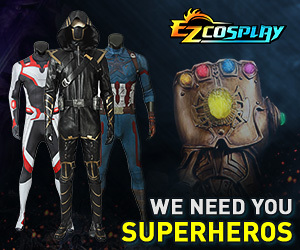 Just received an email regarding the photoshoot for the random game characters. I may be reading it wrong but some of the info seems off. For example there is no Saturday time. And only Friday was approved? [QUOTE=SuperBee;4622710]Just received an email regarding the photoshoot for the random game characters. I may be reading it wrong but some of the info seems off. For example there is no Saturday time. And only Friday was approved? There's no time because I can't input times/locations yet. I had to manually put in AJ as he was only in one of them with no day next to them. One of your days is missing someone as well (Sunday I think). I remember trying to add them in but they are in the database twice with two different emails. Edit: It's Yukinosama who isn't signed up for the Sunday shoot. I did get that email (and another coffee haha). I did PM Yukinosama, and she was the only one that did not get back to me as of yet. I just got emails confirming Friday and Saturday being approved. Now just waiting for Sunday and my Animal Crossing panel to be approved.